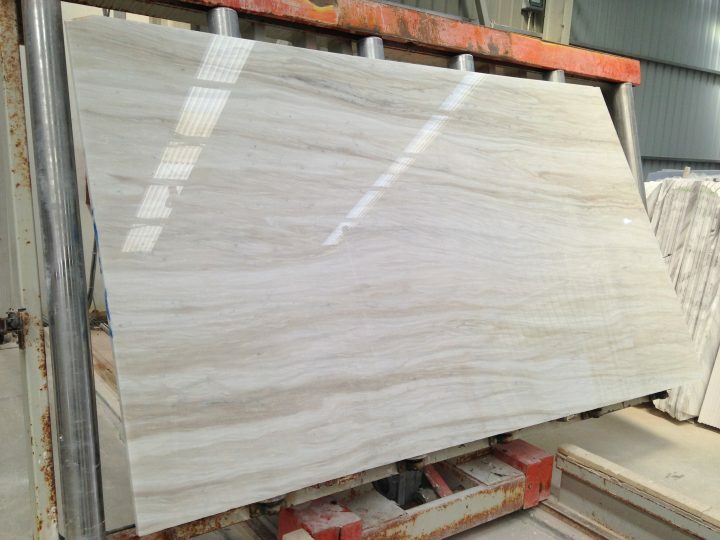 White marble with beautiful brownish horizontal veins. 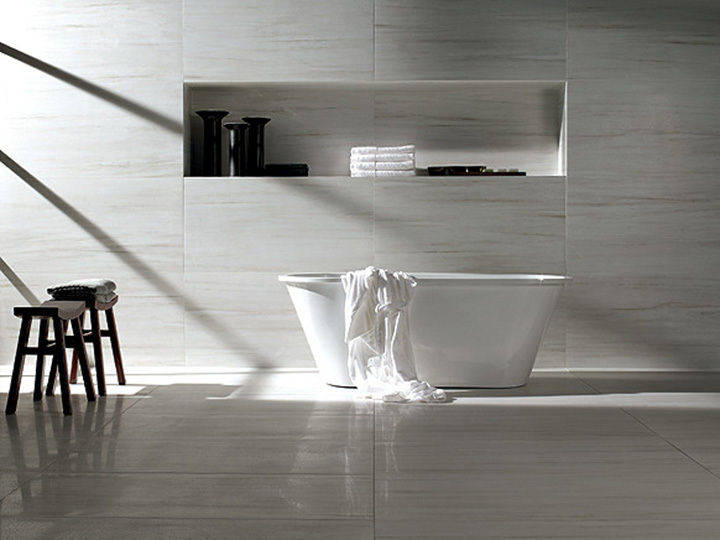 Suitable for use in domestic or light commercial settings. 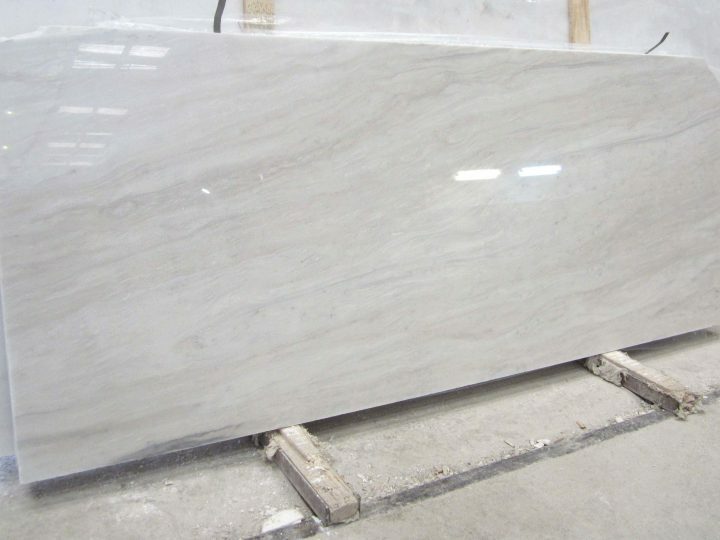 Available in slabs and tiles.